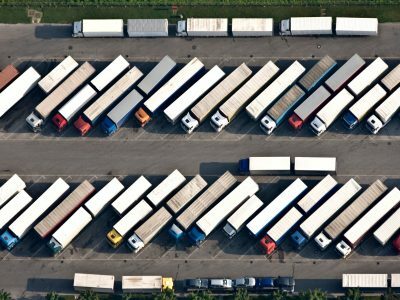 How do logistics operators protect themselves against theft and extortion? Their drivers have contact only with the assigned administrator. 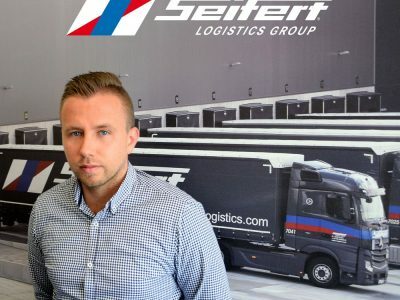 – There is no way that anyone from outside would contact them, asking for example for unloading goods in another warehouse on behalf of the recipient – convinces Arkadiusz Pilarski, team leader of the transport department at Seifert Logistics Group Poland. However, driver protection is not everything. We asked, among others about what insurance the company requires from subcontractors, and how it checks the ownership of companies it cooperates with. Dorota Ziemkowska, Trans.INFO: You once said that even 75 percent of transport companies have been affected by theft or extortion. Seifert is in this group? Arkadiusz Pilarski, Team Leader of the transport department at Seifert Polska: I fully support this statement. The problem of theft and extortion in transport is a serious phenomenon and is constantly growing. 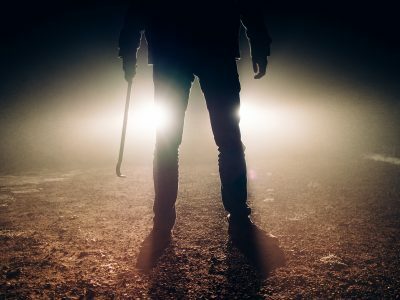 According to statistics, three out of four companies from the TFL industry in the last five years have fallen victim to crime. There are many contractors looking for easy profit on the market, and the value of transported goods often reaches several hundred thousand euros. At Seifert Poland, the sealed process of accepting and processing transport orders allows for timely detection of fraud attempts. What kind of attempts you have in mind? It once happened that on the day of loading the cargo, there was a sudden change in the loading data. A completely different vehicle showed up than it was originally established. After immediate verification, it turned out that the substituted car in general did not belong to our contractor. And your clients? Do they have bad experiences with other forwarding companies – were they the victims of theft or extortion? Usually, problems arise when there is a lot of work on the market and a huge amount of transport orders, i.e. during the season. The supply of cars is then very limited and the demand for them is enormous. When the bandwidth reaches the zenith, customers look for any transport company, so that the goods finally shipped, because the recipient waiting. The truth is that in many companies, no specific revision procedures exist. Employees of these companies are of the opinion that every transport company works honestly. They send the goods and think that their job is done. Then it turns out that the loaded goods do not reach the recipient. You are now talking about extortion of goods during loading or unloading, by changing a car or address. Is it one of the more popular methods of theft? How to protect against such a thing? All you need to do is sensitize drivers to follow certain procedures? Sensitizing drivers is one thing. The essence of the matter is the choice of a forwarding company that has a proven, comprehensive security policy, from the moment the order is accepted to the unloading. Of course, Seifert has this, which translates into a high level of security of orders entrusted to us. For each transport, it must be assumed in advance that theft may occur and we have to try to eliminate it as much as possible. Our vigilance can never be dormant, regardless of the value of the goods to be transported. Let’s not generalize. Tell me how it looks like in your company. I will tell you honestly – my lips are sealed when it comes to the company’s secrets. Information you’re asking about could directly facilitate the task of dishonest entities. All right, I will ask for specific solutions, and you can confirm or deny. The first thing is the rules guiding the unloading of goods by the driver. Do you require him not to unload the truck if he does not get certified documents? At Seifert Poland, it certainly is not enough. First of all, our drivers have contact only with the assigned administrator, for example with me. It is not possible for anyone from outside to contact them, asking e.g. to unload the goods in another warehouse on behalf of the recipient. If, in fact, the place of unloading changes during the transport process, the situation is verified according to our internal standards. We invest in regular training and implement methods to maximize the entrusted order. Telamatic systems also support us. What exactly do you require from carriers when it comes to telematics? Telematic systems not only improve transport but, above all, significantly increase the level of security. They provide, among others vehicle connectivity with the company. Telematics is also an investment that allows you to optimize the functioning of the company. 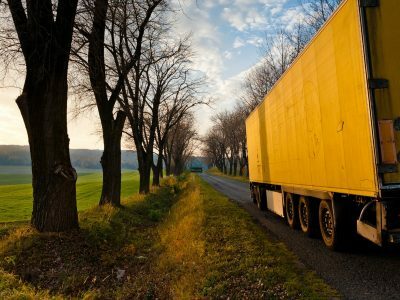 At Seifert Poland, we strongly prefer cooperation with carriers that guarantee access to the driver and car at any time of the day or night (GPS transmitters) and information that we read either on computers or, more conveniently, in mobile applications. Do you designate car parks where the driver can stop? Of course, we have a developed base of parking lots and own parking spaces located at the Seifert Logistics Group branches, all over Poland and abroad. Our contract carriers also use them. Of course, with the number of branches, new items are added every year. You mentioned the verification of carriers. How does this process look like at Seifert? Verification of the carrier at Seifert is a multi-stage and very meticulous process. Thanks to cyclical training, we introduce new verification tools to constantly improve the whole process. Simple checking of subcontractor documents is not enough. How do you verify your subcontractors? If we cooperate with a new carrier, which, for example, provides vehicles or wants to cooperate with us regularly, we first have a series of meetings to audit this company. In the case of individual orders, because they also happen, we use the database of trusted subcontractors Seifert Logistic Group, developed over the years, and not only Polish but also foreign carriers. All you have to do is verify them once? No. We do it constantly and on a regular basis. This is done by the controlling department, which checks the changes that occur in the company. For example, whether a new owner appeared. Unfortunately, I cannot tell you more because it is the know-how of Seifert Logistics Group. Currently, there is a more popular method of theft, i.e. buying over legally existing companies by thieves. Unfortunately, the problem is that the delay in updating data in the National Court Register can sometimes take half a year. So how to protect yourself against such unexpected ownership changes? Instead of constantly looking for new companies on stock exchanges, it is best to cooperate with regular, trusted partners. We do just that – we rely on our internal contacts and carriers that we have been cooperating with for several years. We know each other, we take part in carrier meetings, we know when things change. Checking the National Court Register is definitely not enough. How much emphasis do you put on online reviews or ratings on stock exchanges? We all know that every user has his own opinion. Is each one real? Yes, we check the opinions on the web, but we treat them only as additional information. And certificates? Some stock exchanges exhibit their own, there are also those typically related to transport. Which one of them do you require? Certificates yes. They are a confirmation of quality to a greater extent. We value such certifications as ISO, SQAS, HACCP or certificates of credibility of known business intelligence agencies, e.g. CREDITREFORM. We have these types of documents ourselves and we know their value. How do you fight with subcontracting transports? This is categorically forbidden in the order. We work with direct carriers who have their vehicles. When undertaking cooperation, we require a list of registered car numbers and we require, among others, proof of registration. We must be absolutely sure that the car that will arrive for loading actually belongs to the company. What kind of insurance do you require from subcontractors? Above all, the policy has to be as expanded as possible, without exceptions.